As with any service, there has to be some small print. Please read these Terms and Conditions. They exist to provide clarification for us both in the unlikely event of dispute. All commissions will be undertaken on the basis of these Terms having been read and agreed. These Terms and Conditions take precedent over any other Terms and Conditions, express or implied. Before I start a project, I need ‘the Client’s’ written confirmation, by email, fax or mail that they are commissioning The Word Nest to write for them, and of the agreed fee. If you wish to hire The Word Nest to work for you on behalf of any company, group of individuals or organisation other than yourself or your own company, you confirm that you are authorised to hire us on their behalf. If you hire The Word Nest on behalf of a marketing agency to work for the agency on a project for one of your clients, a contract exists only between The Word Nest and the agency, and not between me and the agency’s client. You agree to indemnify The Word Nest against any claim for compensation or damages brought about as a direct or indirect consequence of the work we do for you and/or your organisation. I prefer to charge a fixed fee to cover services from start to finish. This is detailed in your quote and is valid for 21 days from submission date. All quotes include * 1 briefing meeting (if deemed necessary) * Writing and submission of the first draft * Discussion, evaluation and integration of up to 2 rounds of revisions at no extra charge * 1 round of professional proofreading at no extra charge. Any additional meetings outside of the initial briefing; revisions or proofreading will incur additional charges at an hourly rate of $95. Any additional work requested beyond the remit of a written quote will be charged at an hourly rate of $95. You have a maximum of 14 days to respond with revisions from submission of first draft, after which time the project will be closed. Please note that revisions based on a change in the project’s scope, direction or format, made after the first draft is submitted will incur an additional fee. In this event you will be notified in advance. Liaison with other agents such as graphic designers, web developers or printers is charged at an hourly rate of $95. Before commencement of the work, I will invoice you for a non-refundable deposit of 50% of the quoted price. Where the amount is less than $700, the full amount is required before work can begin. The final invoice will be issued after the first full draft is sent. Invoices will be sent electronically. Payment terms are 7 days from the date on the invoice. Payments can be made by bank transfer (preferred) or in cash. If the project is urgent and requires a first-draft turnaround of less than 2 working days a rush loading of up to 35% will apply. Any costs additional to the Services ordered (including couriers, other media and travel costs) are in addition to the amount quoted and shall be charged to you as required. These costs will be itemised separately in the invoice. I encourage clients to contact me immediately to discuss payment options should these terms cause any financial difficulty. My invoice is payable within 7 days of receipt. If payment is not received within this period, I reserve the right to charge a late payment fee of 10% for the first 21 days overdue and 20% thereafter. 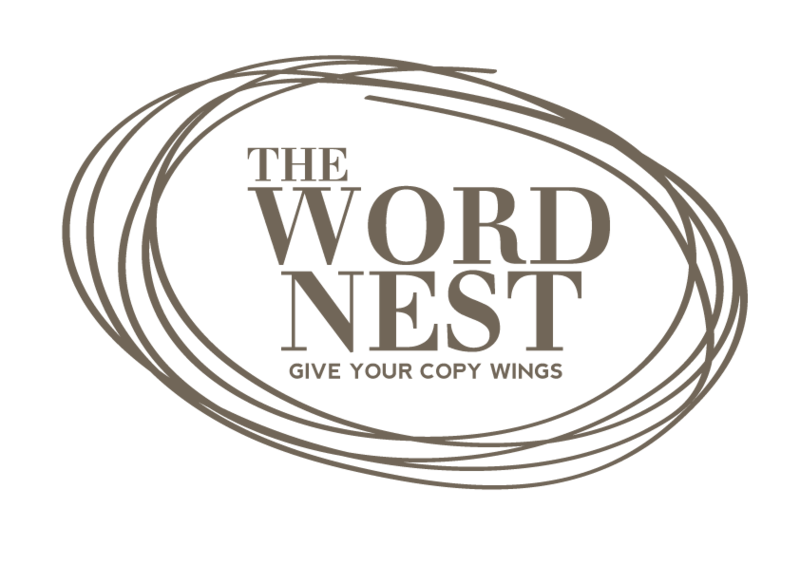 You agree to pay The Word Nest any expenses incurred in collecting outstanding debts due by you to The Word Nest. Any modifications to the original project brief during the course of execution will render the provided quote invalid, and additional fees/charges may be applied to cover time and expenses. The new quote will need to be approved and revised deposit paid before work can restart. It is in your interest to furnish me all the necessary information to complete the project to requirements. If the project is rejected on the basis of style, composition, editing or our interpretation of your needs, amendments or circumstances, you are liable for the full cost of the initial quote. If a project is cancelled after written confirmation has been received, but before the first draft has been submitted, I reserve the right to retain the non-refundable deposit of 50% with no other payments required. If it is cancelled after the submission of the first draft, I reserve the right to invoice the agreed fee in full. Whilst I am happy to sign whatever confidentiality or non-disclosure agreements you or your organisation deem necessary, you agree to indemnify me against any action whatsoever by you or a third party, associated with the accidental disclosure or loss of this information. I will assign copyright of all materials that I write to you following full payment of all fees due. I reserve the right to use selected extracts of my work for self-promotion or advertising purposes unless specifically forbidden to do so by a confidentiality or non-disclosure agreement. If, as part of your brief to me, you include materials written by someone else, we will make every effort to ensure that we do not inadvertently breach their copyright. However, you confirm that you are authorised to send me the material for our use either as reference material or to form part of a new piece of work, and you indemnify me against any action arising, directly or indirectly, as a result of use of this content. I may approach you for a testimonial after the project is completed to your satisfaction, although provision of the testimonial is not obligatory. I will do my utmost to ensure that all materials supplied to you are free of literal and spelling errors. However, you agree that you are responsible for final proofreading, and indemnify me against any costs arising from the appearance of such errors in any printed or published form. Whilst I will do my best to ensure that my work complies with the law, it is your responsibility to submit all copy for legal review. The Word Nest takes no responsibility for the material and how it is used once you have approved the final draft. These Terms and Conditions constitute the entire agreement and understanding of the parties and supersede any previous agreement between the parties. A waiver of a breach of any of the provisions of this Agreement shall not be construed as a continuing waiver of other breachers of the same or other provisions. They shall be governed by Australian law, and the parties hereby agree to submit themselves to the exclusive jurisdiction of Australian Courts.